We’re sorry, we do not have a free option in your country yet. The free option is limited to the US and Canada. However, the minimum monthly subscription payment for your location is still very affordable at only USD $4 per month and you can choose valuable features to make it worth the payment. All plans, including the free plan, come with video and written instructions and customized worksheets and everything needed to do the complete therapy. These optional affordable features will help ensure you have the best experience and maximize your chance for success. 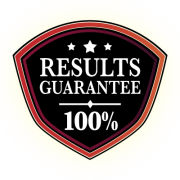 The Platinum plan includes a money-back guarantee program. Click here for more details about the Platinum plan and its Results Guarantee. We have pre-selected the recommended Coach Support options. If you do not want a feature, click No Thanks. A therapy coach will review the worksheet generated by the automated system and may select different exercises based on my input. I would like Mendability to review uploaded videos of my child as part of the process of reporting progress and generating exercises. Phone access to my dedicated Mendability coach who follows my account. Email access to my dedicated Mendability coach who follows my account. I would like to use Mendability's online motivational tools to help me stay on track with the program. If you do not like the exercises prescribed on a worksheet, the system provides effective alternates to choose from. I would like to have access to the Data Analysis page that gives me reports on my child’s progress and condition. I do not want to see ads on my Mendability account. 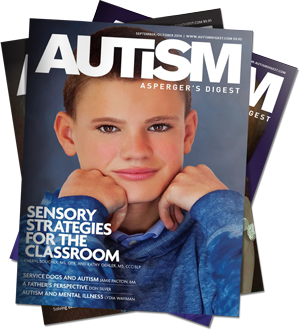 For the first 500 people who sign up to provide the program for themselves or their child/patient, they also will receive a FREE subscription for the Autism Asperger’s Digest, the first magazine on autism internationally, which features experts and the latest news on therapies and products.